In the late 40s and 50s, Jazz was going through a bit of an identity crisis. The Big Band Era was over and Bebop hadn’t caught on in the mainstream despite the best efforts of Dizzy Gillespie. Older musicians seemed conflicted as to what to make of it. Louis Armstrong famously called out Dizzy at the Hollywood Bowl, and it was common among the Beboppers to refer to the previous generations as “moldy figs”…out of touch, out of fashion. But 1949 saw the emergence of a new style of Jazz – an art-conscious but highly listenable style, embracing subtlety, grace and an almost Classical intellectualness. It came to be known as Cool Jazz, for the record Birth of the Cool, released by Miles Davis in 1951. This is a landmark in and of itself, but as with most landmarks, it served primarily to expose this new genre and all its many players to a wider group of listeners. 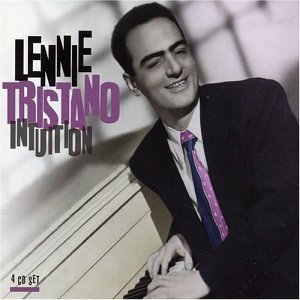 A major player in this “new” style was Lennie Tristano and his various ensembles made up of his students. Their Jazz was a highly technical, very cerebral brand, loaded with intricate harmonies and surprising melodies. In the 50s, he garnered a small but loyal following, but then receded into the background as Hard Bop and Miles’ further experiments retook mainstream audiences. Today, with giants like Mark Turner, reinvigorating the sound, Tristano and his students are seeing a resurgence of popularity. Alto saxophonist Lee Konitz is one of the greats of this period of Jazz (and has had an interesting career beyond Cool as well). While I wont claim to be an expert in all things Cool, he clearly understood the teachings of Tristano, as his improvisations contained much of the same precision, harmonic surprise and rhythmic character. Another frequent practice of Tristano’s was the use of contrafact – a new melody written to famous chord changes. Think “Donna Lee” and “Ko Ko”, which were new heads to “Indiana” and “Cherokee” respectively. “Subconscious Lee” is a Konitz contrafact based on the changes to “What Is This Thing Called Love?”, a classic 1929 Cole Porter tune. The head is complex and really showcases the sonorities Tristano’s students were exploring – mostly “modern” colors on conventional chords, like maj 7’s on minor chords, #11’s on Majors, melodic minor modes…etc. Its also a highly rhythmic head with several displacements and an emphasis on jarring syncopations. Check out the last [A] (bars 25 to 32) of the head to get the full effect. And dig those #5’s on the last chord! First up, the diminished ideas. Full disclosure…there’s never a “perfect” moment when the whole scale is fully spelled out, so it’s hard to be sure exactly what Konitz was hearing/thinking, but there’s enough of the scale there to make some assumptions. He really leans on the b9 and #9 and the line starting at m. 101 gives that #11 flavor. Notice how his usage tends to ignore the ii-7b5 chords? It seems to me that he’s reducing ii-Vs to just Vs, giving him longer time to sound that altered V color. Ok…so I’ll say one thing…does this remind you of the 90s fusion tenor players (Brecker, Mintzer, Berg…etc.)? This is one of those perfect sequences where the idea is note-for-note transposed. The first bar treats the ii chord as a Major or maybe a Dominant chord, second bar is a tritone sub, and the third is warped a bit to fit the minor chord. Ok…now go back to digging!!! The rhythmic idea in 121 and 122 does this great job of representing the character of Lee’s 50s phrasing. Precise. Energetic. Driving. “Meditate on the hipness”… I love it!